With the Legislature holding hearings on marijuana legalization on Monday, the New Jersey Business & Industry Association is advocating for provisions that would permit employers to have policies that help prevent workplace accidents and injuries. “Legalization is more than a social issue; it could have real impacts on the workplace, including the safety of workers,” said NJBIA Vice President Mike Wallace. “Specifically, we are asking that any law making marijuana legal for recreational adult use or expanding the State’s medical marijuana program also give employers the right to prohibit employees from using it in the workplace or coming to work under the influence of it. Drug Free Workplace Laws require drug and alcohol testing for certain jobs, but also give employers the right to maintain a drug-free workplace for any workers. Employers need to spell out the rules ahead of time, communicate them to employees and enforce them equally and fairly. 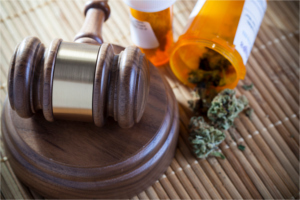 Under current law, employers can prohibit employees from being at work under the influence of illegal drugs or of alcohol, and even legal medications if they are being abused. If an employee is suspected of being under the influence, the employer has the ability to require a drug test and to take appropriate action, including terminating their employment. “NJBIA is requesting that any legislation state clearly that legalization does not repeal or restrict the rights and obligations of public and private employers to maintain drug- and alcohol-free workplaces, or require an employer to permit or accommodate the use of marijuana, even it if is otherwise legal,” Wallace said. While I completely agree that marijuana use, particularly for recreational purposes, should not be permitted while at work, I would also plead with our legislators (as I hope NJBIA would) to ensure that any passed legislation does not dictate what any one of my employees does within the context of his/her own, private time away from the job. Moreover, as a business owner, I do not want to be placed in the position of having to discipline a worker within the permissiveness of any passed law who tests positive for a background level of THC in his/her system but is not actually impaired. Accordingly, any legislation that seeks to allow discipline must also stipulate a level of THC detected that, under scientifically valid testing protocols, actually reflects impairment. Without that vitally important threshold being arrived at, any final law will be subject to costly (and very likely successful) judicial challenge.